We’re all aware of the concerns surrounding smartphone use and the impact it has on our daily life, both personally and professionally. 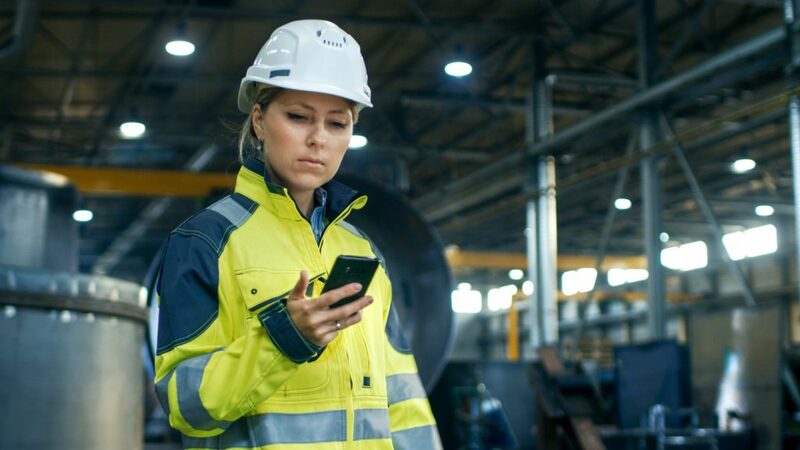 The demands on our attention, the dangers of distracted driving and the loss of productivity are just to a few of the criticisms attributed to smartphones but is it possible that smartphones can improve health and safety at work? Despite their bad wrap, when used intentionally, smartphones can have real value in the workplace and on the job. Smartphone technology is an unstoppable, neverending force that is constantly changing the way we view our world and how we operate in it; it touches every aspect of our lives including how we communicate, interact, navigate and how we gather, store and share information. Apps are integral to the way we interact with smartphones. It’s not all about games designed to entertain us, apps are also tools and resources with practical and useful information; some have the potential to revolutionize health and safety in the workplace. The ability to access, transmit and record data quickly, securely and accurately can help prevent work-related incidents, address workplace hazards and reduce claims costs. Whether you like them or not, smartphones are here to stay and our attachment to them is not going change any time soon. So rather than wasting time trying to keep them out of the workplace, why not figure out how they can be used constructively to improve the health and safety culture of your organization. If you would like further information on how to enhance the Health and Safety Management program at your workplace, you can contact us directly at BCL.Calgary@bclconsulting.ca, BCL.Edmonton@bclconsulting.ca, by phone at 1-844-377-9545 or you can connect with us on Facebook, Twitter, or LinkedIn.